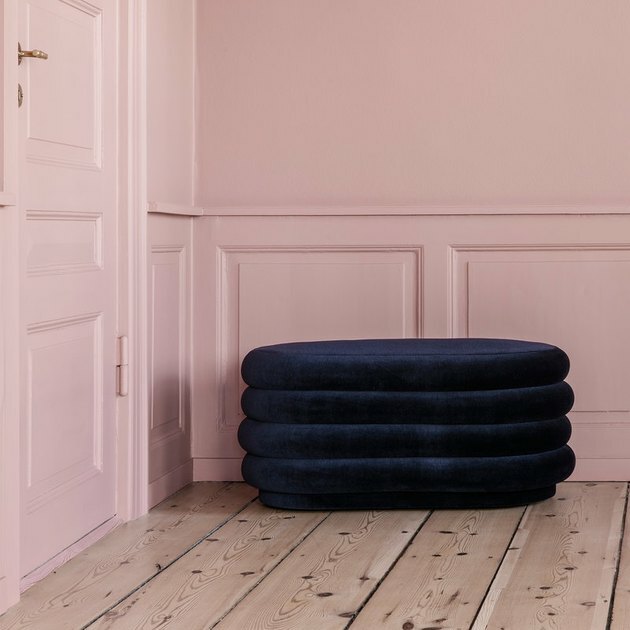 Velvet has been creeping into the interior trend scene for quite a while now, but expect to see a whole lot more of it in 2018. 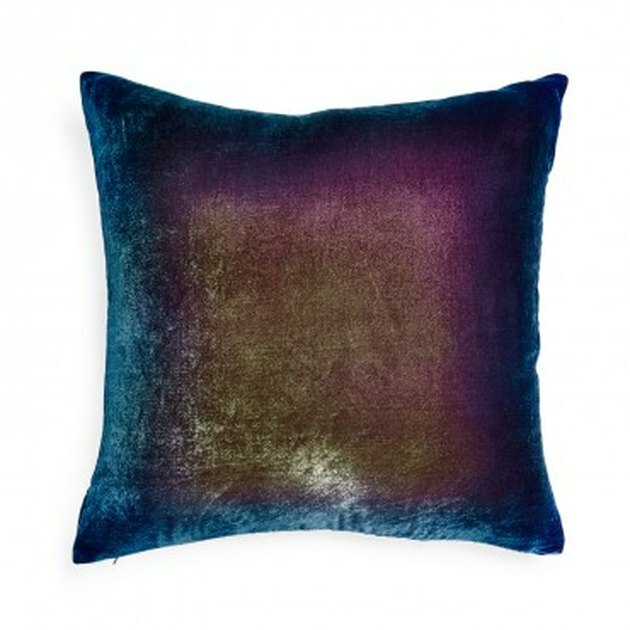 This ultra-luxe fabric is perfect for glamming up any space in an instant. Plus, you'll discover below that it's super versatile, so virtually every aesthetic will benefit from a textural dose of this fabric. If you're not sure where to begin your velvet journey, start by falling in love with these showstopping pieces. 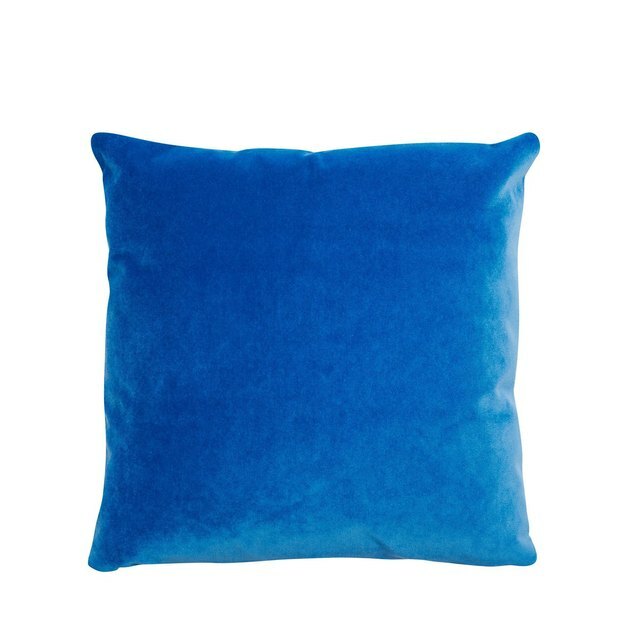 The intense color on this side pillow would be a bold (but clever) move to make on a couch. 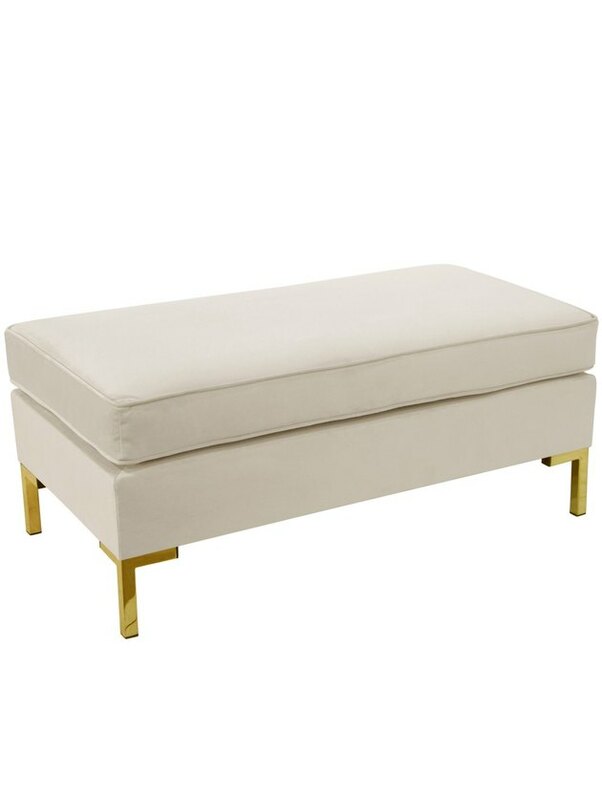 This lush stool would bring a bit of old Hollywood glamour to a vanity. 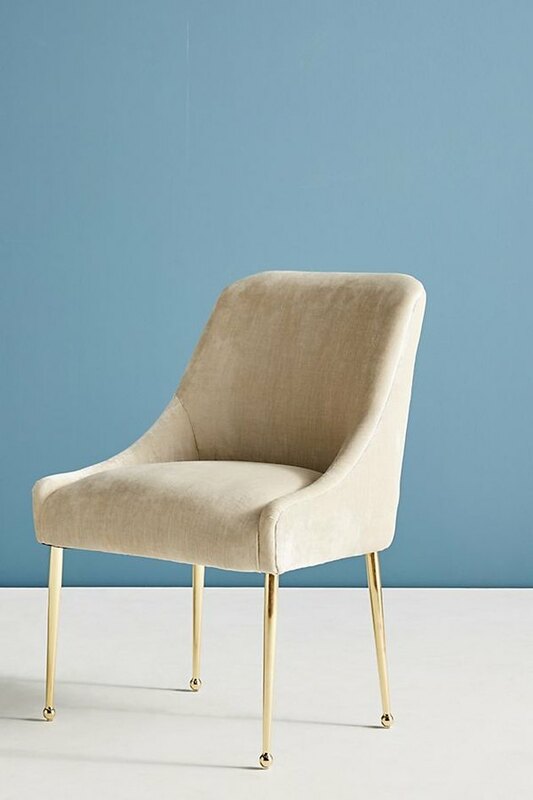 There might be no combination more stunning than velvet and shiny brass details, and this gorgeous chair pretty much proves it. 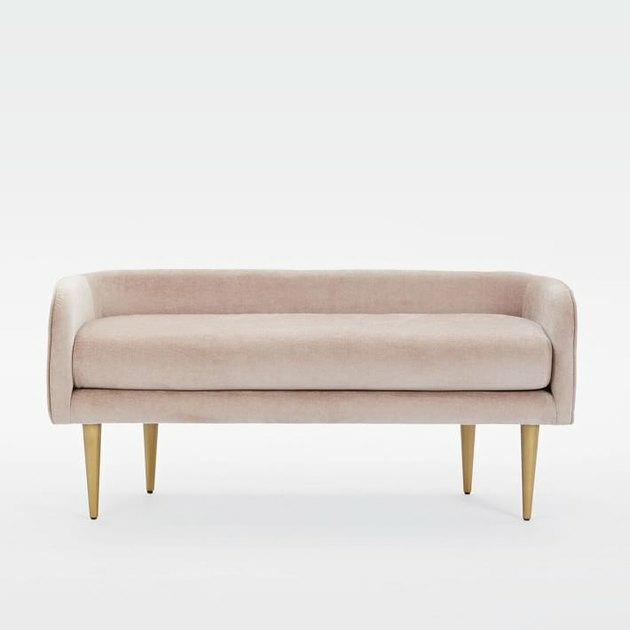 Not quite ready to go all-in on the velvet furniture front? Then add just a splash of flair with this rainbow delight. 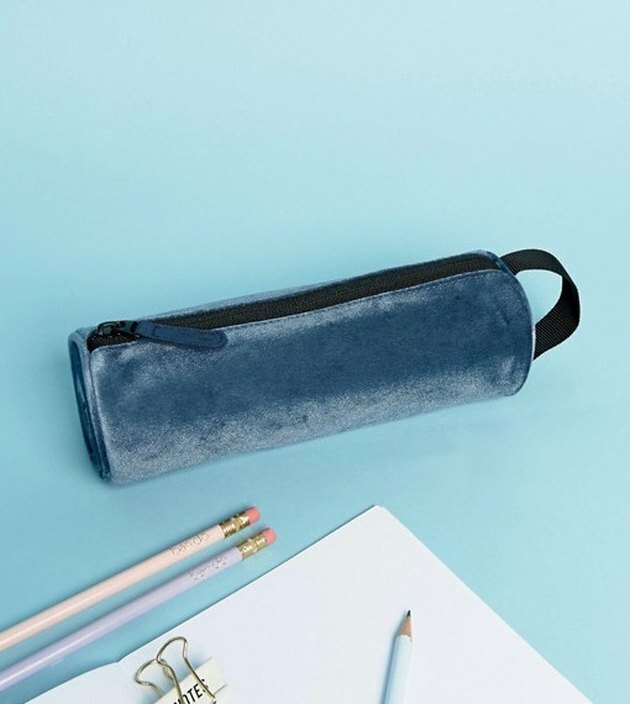 For those who take pride in meticulously curating a workspace — try this subtle velvet pencil case. 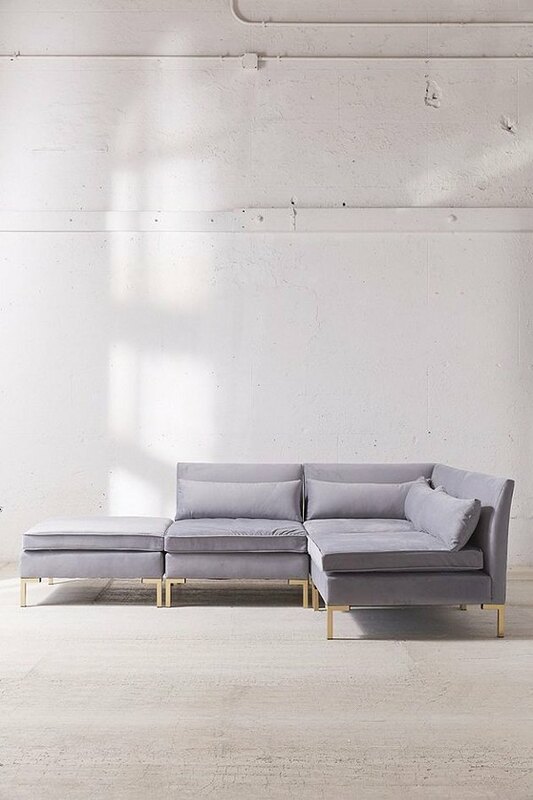 Once again, brass proves to be a stunning complement to velvet with this neutral-meets-glam sofa. And the deep-seated L-shape is perfect for lounging the day away. 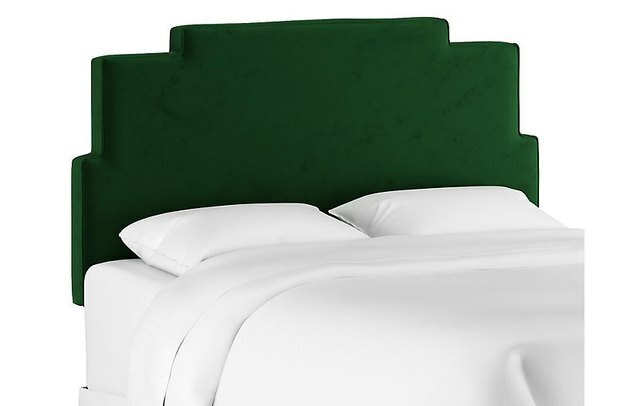 A velvet headboard in a rich hue would make a bedroom feel like a five-star hotel. 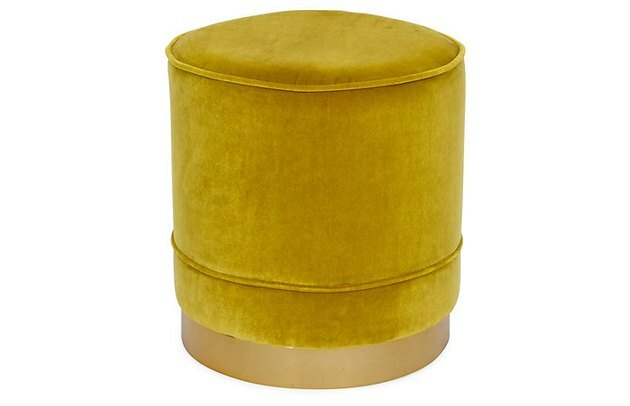 Every home deserves a comfortable pouf to set an inviting tone. 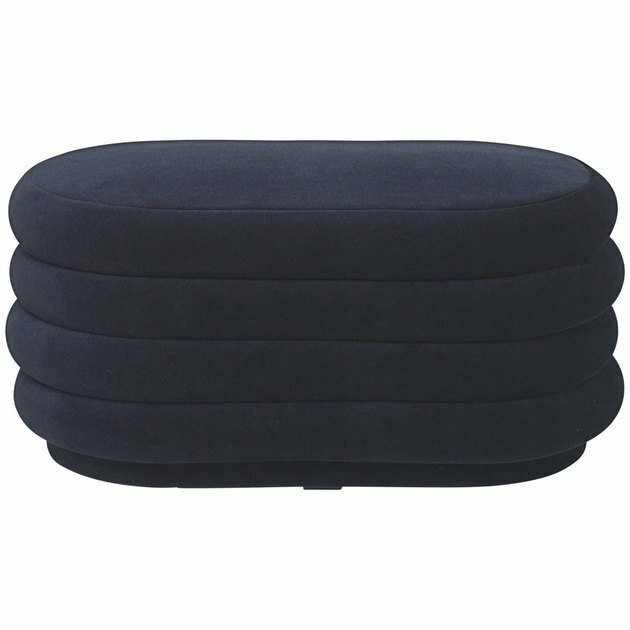 Especially if that pouf is as chic and textured as this one. Don't sleep on your lighting's ability to make this trend shine. 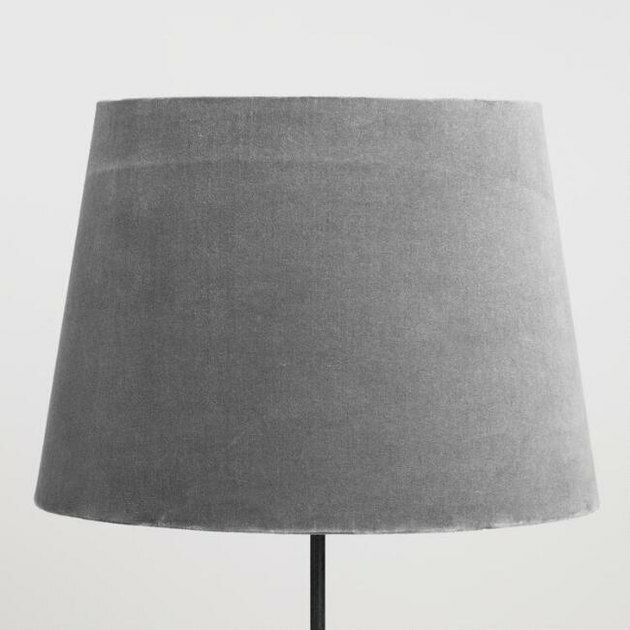 This lamp will illuminate your design with stylish perfection. Here's a petite but impactful piece to place in a hallway or at the foot of a bed. 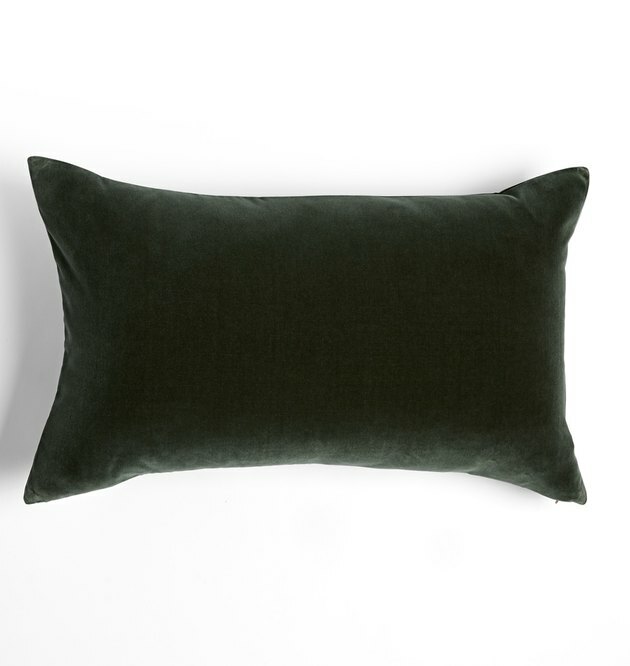 A lumbar pillow like this one is another subtle way to revive your space using this luxe trend. Add it to any room that could use a quick and easy refresher. 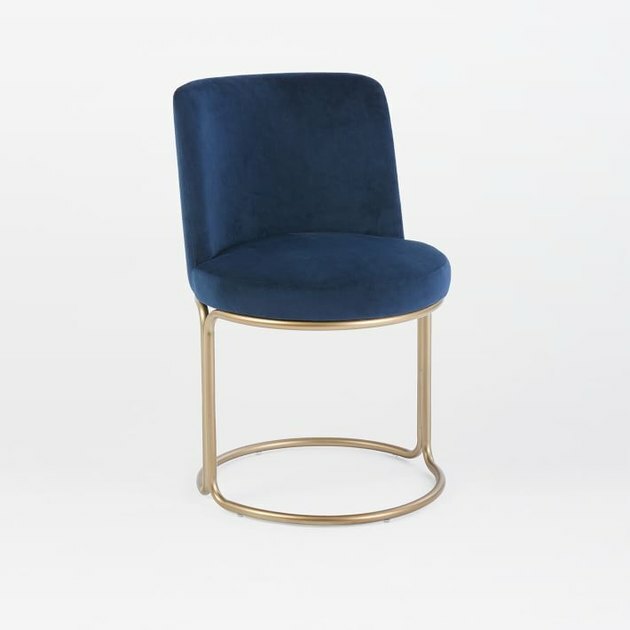 This minimal, '80s-inspired dining chair is fit for the chicest of spaces, especially if you subscribe to an eclectic style sensibility. 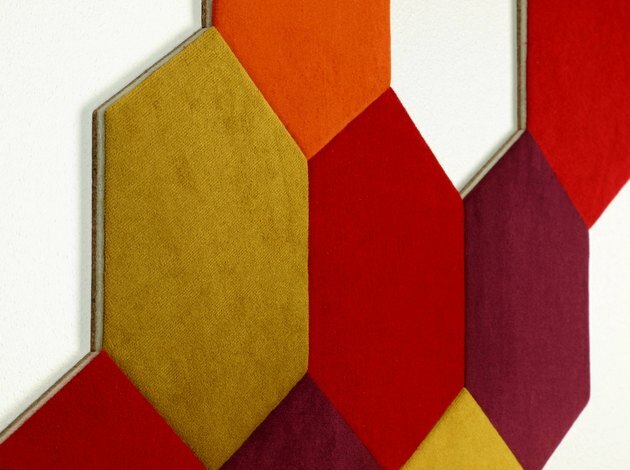 Bring a bit of mod style to your walls with these cork and velvet hexagonal tiles, which come in sets of three. Benches are a killer way to define an entryway or hallway. And this beauty will make sure to add plenty of glamour to that definition.